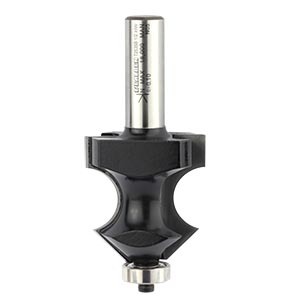 This bearing-guided two flute cutter produces a torus bead combined with a chamfer. This attractive profile will find many uses in the joinery trade for producing skirtings, dado rails, cornice etc. 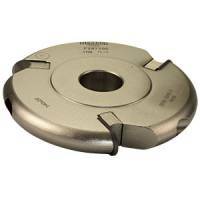 The cutter is available in four sizes. The largest of the cutters should ideally be used in a fixed head machine and at a reduced speed of approximately 15,000 rpm.